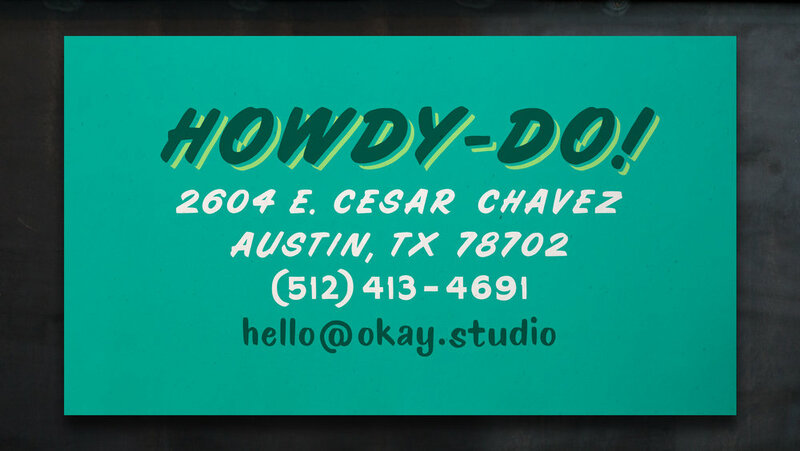 OK Studio is a multi-disciplinary design shop located in Austin, Texas. We love to collaborate with friends and clients to create meaningful brands. Our capabilities include brand identity, editorial illustration, web design, packaging, book design, art direction, you-name-it. We've also been known for teaming up with global and local agencies to help them develop remarkable work. Our clients love us for being honest and personable people. That makes us happy. Get in touch at hello@okay.studio, we've been wanting to work with you.